After Shakespeare’s Star Wars, and The Empire Striketh Back, here is volume 3: The Jedi Doth Return, as you would have expected if you know well your Star Wars. But the fun goes on, as the story is recounted in the style of the Bard, with rhymes, chorus, list of characters entering and exiting for each scene, etc, just like a real play. There were funny passages between C-3PO and Han, and great monologues about conscience, as you can imagine for Darth Vader and his son. So if I made comparisons between the previous volume and Romeo and Juliet, here we are closer to King Lear. Us life, and turn him to the good once more. Or else my path is darker e’en than his. Within thee. Let thy hatred go, be free! Apart from just having fun with that type of remix, it’s amazing to see how great archetypes work across time and culture. This will definitely make me see Star Wars differently next time I watch it again. C-3PO: O place most barren–I have miss’d thee not. So e’en though it shall come, we shall not fear’t. The black and white illustrations are also fantastic, not mentioning the awesome book cover. VERDICT: If you are a Star Wars fan, you absolutely have to read this book and the whole series. The Shakespeare style used to retell your most favorite interstellar movie will make you discover new dimensions to it and laugh a lot! 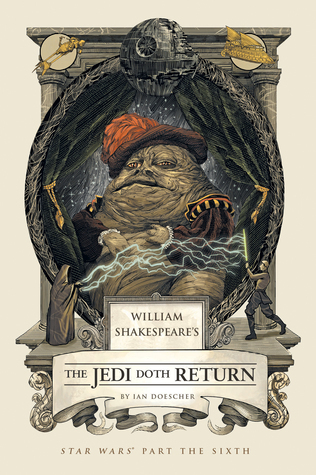 Hot on the heels of the New York Times best seller William Shakespeare’s Star Wars comes the next two installments of the original trilogy: William Shakespeare’s The Empire Striketh Back and William Shakespeare’s The Jedi Doth Return. Return to the star-crossed galaxy far, far away as the brooding young hero, a power-mad emperor, and their jesting droids match wits, struggle for power, and soliloquize in elegant and impeccable iambic pentameter. 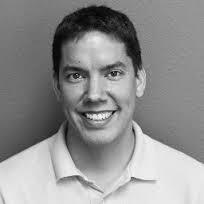 Ian is a Portland native, and lives in Portland with his spouse and two children. and a Ph.D. from Union Theological Seminary. research and web agency in Portland, Oregon. 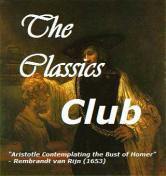 HAVE YOU READ THE FIRST 2 BOOKS ? WHAT DO YOU THINK ABOUT THE IDEA OF SUCH AREMIX? This entry was posted in Plays, Quotations and tagged Ian Doescher, Jedi, science-fiction, shakespeare, Star Wars by WordsAndPeace. Bookmark the permalink. I’m hoping to attend a signing event Ian Doescher is having not far from where I live, I loved the first two so much! Have you heard whether or not he’s going to be giving Episodes 1-3 the same treatment? I’m definitely keeping my fingers crossed! Whoops, sorry! I was speaking in terms of the Episode #s given to the movies, with 1-3 being The Phantom Menace, Attack of the Clones, and Revenge of the Sith, and 4-6 the ones he’s already written. This sounds like a great concept! Thanks for the great review!